True to his word, Donald Trump has been exercising his authority as President to incarcerate and deport as many people as possible. 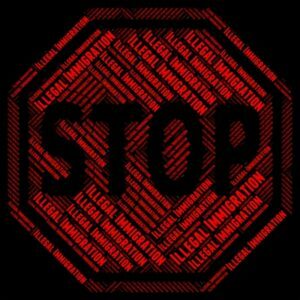 Immigration issues are serious and must be handled by a competent attorney, however; a separate issue that is often overlooked during the course of a stressful removal or deportation action is that of child custody. Parents are left to raise children alone in the aftermath of the detention and deportation of a loved one. It is important that a parent take advantage of the statutes that afford them rights to and support of their children if the worst should happen. An order from a court that clearly delineates parental rights is a useful tool if custody issues arise after parents are forced to live apart from one another. Issues of physical custody, legal custody, visitation/parent time, financial support, insurance, decisions regarding medical care, education, religion, and travel can and should be drafted by an attorney and ordered by a court to avoid any future issues. Photo Courtesy of: Stuart Miles@freedigitalphotos.net.